Havasu Nutrition has over a dozen supplements on the market. Each of which contain specially chosen ingredients and aims to better your overall wellness. The product we’re looking at today is NeuroIgnite, Havasu Nutrition’s nootropic supplement for focus, energy, memory and clarity. Although some of the ingredients may seem exotic and intimidating if you are unfamiliar with nootropics, if you already have a bit of knowledge about nootropics, you’ll know that these are definitely desirable ingredients. 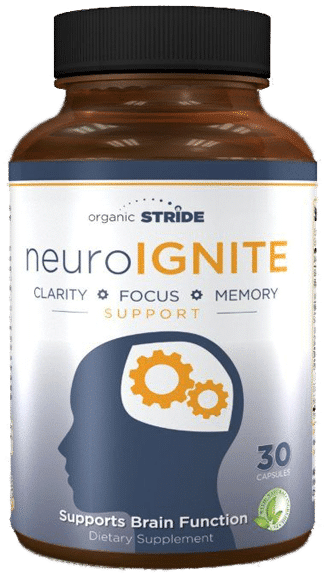 Each serving of NeuroIgnite contains Bacopa Monnieri and Ginkgo Biloba extract, both of which are known for improving memory and attention, as well as cognitive speed. Lastly, Huperzia Serrata is included to help support memory function and improve alertness. All of these things combine to create a very powerful brain stimulating nootropic that can help you be more efficient, a quicker problem solver, and stimulate creativity. The finishing touch on NeuroIgnite is St. John’s Wort, which has been used for centuries as a mood enhancer. NeuroIgnite doesn’t rely on caffeine whatsoever to wake your body up and get blood flowing to your brain. Some people have negative side effects when they consume caffeine, such as chest pain, jitters, and an increased heart rate. Since this supplement doesn’t have any caffeine, you don’t have to worry about any of those negative side effects and you don’t crash when it wears off like you do with caffeine. NeuroIgnite has a nice, smooth effect the whole time and doesn’t tend to overwhelm you like caffeine. Unlike other supplements that you have to take throughout the day, one capsule of NeuroIgnite is strong enough to last the whole day. This supplement offers all day, steady cognitive support, instead of just giving you a quick burst of of support. Taking one capsule in the morning is just more convenient, especially if you already take other supplements or medicines in the morning, you can add it to your routine and forget about it. NeuroIgnite is a great option for anyone who struggles to stay focused and get things done, whether at school or at work. It’s made in the USA and thoroughly tested before being sold, so what’s on the label is exactly what’s in there. More importantly, it contains ingredients that have been thoroughly tested without a lot of extra junk or excessive stimulants. 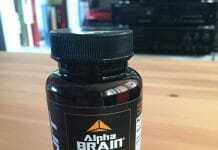 As one of the most reviewed nootropics on Amazon, you can trust this brand.